Catherine Chandler is an artist and metalsmith in Portland, Oregon. Through a variety of materials, she explores notions of human experience, relationships, and systems of communication. 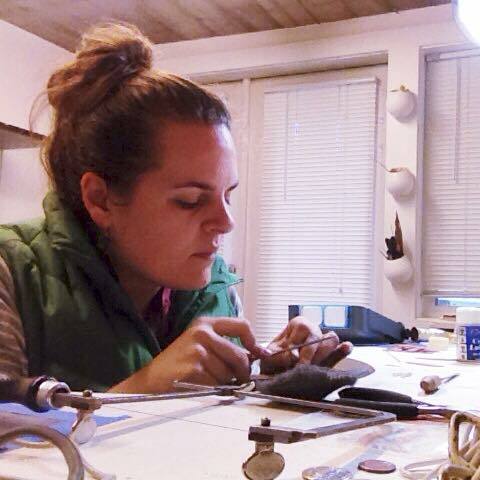 Trained as a metalsmith, her work draws from the history of adornment as a way to communicate to the rest of the world. Underlying Chandler's work is an affinity for clean lines, abstraction, and subtle details—influences from her time studying abroad in Australia. She has participated in numerous group shows, including exhibitions in Oregon, Washington, and Sydney, Australia. Chandler graduated with a Bachelor of Visual Arts from the University of South Australia, and a Bachelor of Fine Arts from the Oregon College of Art and Craft.